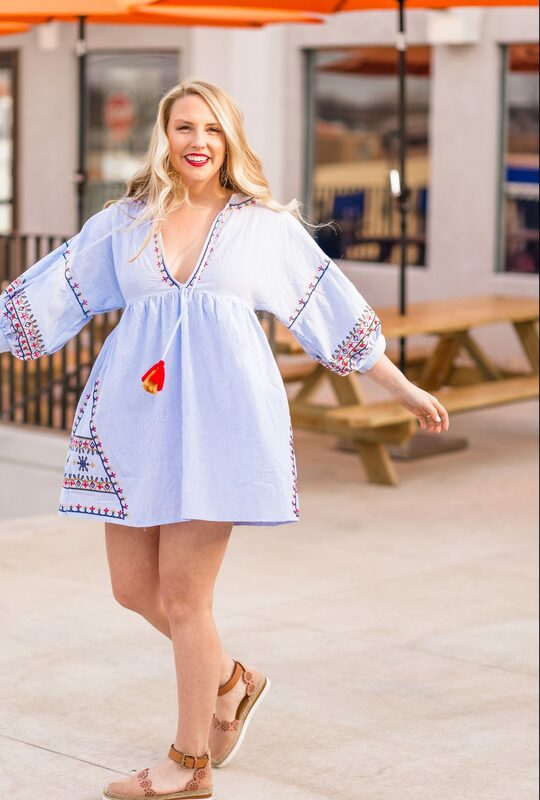 The embroidered dress that embodies every thing Spring Break, Beach Vacation, and Summer! Tassels, stripes, pockets, and embroidery, need I say more? I love a good embroidered dress, and especially when it is under $30! In the summer, all I wear is dresses and I truly think they just make me happier! Not to mention the fact that I don’t have to find a top and bottom that match. Spring Break is creeping up and I am reminded more and more that I am getting older. The further that I am from college, the more I miss Spring Break and vacations with all of my friends, the fun clothes and the planning I used to do for trips! Thankfully this year, Logan and I are are creating our own Spring Break and heading to Europe for two weeks. So, I can’t complain one bit! I will be stocking up on all the summer dresses for my trip, and I can’t wait for an excuse to buy way too much! It makes me feel a little bit better. Am I the only one who plans a trip and then decides nothing in their closet is adequate? I know it’s crazy, but hopefully some of you can relate. I will be updating my “Shop Vacation” tab on my blog with my recent purchases for the trip and all things summer that I am loving! Be sure to follow along to see what I am packing, where we are going, and how much my suitcase for a two week trip in Europe is going to weigh 😅 You can shop my entire outfit below!